Professor Ben Gershman discussed this week’s Supreme Court ruling on warrantless GPS tracking with a reporter from Wired.com. Monday’s ruling held that police could not track a suspect’s car using a mounted GPS device without a proper search warrant. According to Gershman, the Justices were intentionally ambiguous about the legality of GPS tracking, although it is clear that a probable cause warrant is required when attaching a tracking device to a vehicle. The article went on to analyze the impact that technological advances, particularly cell phones, have had on privacy issues. Law enforcement may have the right to track suspects using cell phones with built- in GPS without probable cause warrants. 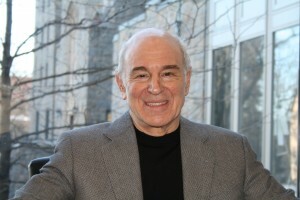 Professor Gershman, a constitutional law specialist, explained, “The effect of this decision on other intrusive kinds of technology that do not encroach into a person’s private property is unclear.” While many cases involving cell phone tracking exist in the lower courts, the issue has yet to be challenged in the Supreme Court. Previous story Prof. Ben Gershman on Huff Post: Pardoning Criminals — Appropriate Mercy or Perverting Justice?